Only the best quality hand-picked wines. We'll refund or replace until you're happy. On all orders over $300. 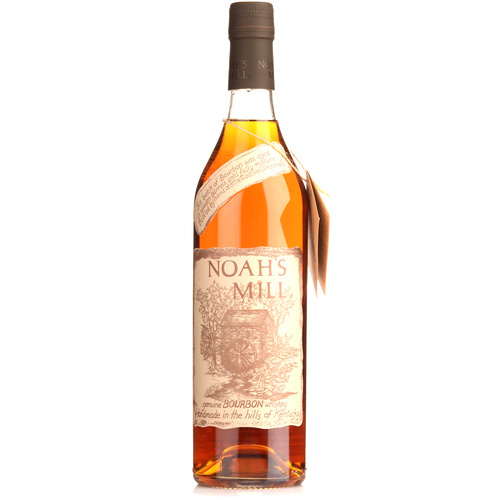 A Top of the line, handmade small batch Bourbon. Super complex and quite rare. Contains whiskeys of 4 - 20 years old. Try this in an old Fashioned for a real treat. Help other Winesale.co.nz users shop smarter by writing reviews for products you have purchased. The term ‘Winesale.co.nz’ or ‘us’ or ‘we’ refers to the owner of the website whose registered office is 2 Udy Street, Petone, Lower Hutt 5012. Our ABN is 99 451 262. The term ‘you’ refers to the user or viewer of our website. We collect information from you when you register on our site, place an order, subscribe to a newsletter or enter information on our site. Some information might also be recorded or tracked using Cookies (see below) for helping us improve our Customer Services Experience for you. Your personal information is contained behind secured networks and is only accessible by a limited number of persons who have special access rights to such systems, and are required to keep the information confidential. In addition, sensitive/credit information you supply is encrypted via Secure Socket Layer (SSL) technology where applicable. Remember you on the computer you login, allowing you to access some of our website functionality easier and quicker in the future. If you disable cookies off, some features will be disabled. It won't affect the users experience that make your site experience more efficient and some of our services might not function properly. However, you will still be able to place orders with cookies disabled. We do not sell or trade to outside parties your personally identifiable information unless we provide you with advance notice. This does not include website hosting partners and other parties who assist us in operating our website, conducting our business, or servicing you, so long as those parties agree to keep this information confidential. If Winesale.co.nz or substantially all of its assets are acquired by a third party, in which case personal data held by it about its customers will be one of the transferred assets. We may also release your information when we believe release is appropriate to comply with the law, enforce our site policies, or protect ours or others' rights, property, or safety. We do not include or link to third party products or services on our website. We make use of Remarketing with Google Analytics to advertise online. Third-party vendors, including Google, may show our ads on sites across the Internet. We and third-party vendors, including Google, use first-party cookies (such as the Google Analytics cookie) and third-party cookies (such as the DoubleClick cookie) together to inform, optimize, and serve ads based on someone's past visits to our website. We make use of Google Analytics Demographics and Interest Reporting using Google's 3rd-party audience data (such as age, gender, and interests) with Google Analytics. Facebook provided us with certain features and tools (e.g., pixels, SDKs and APIs) that we could add to our website to allow us to send data about actions that people take on our website (“Event Data”) to Facebook to track conversions (“Conversion Tracking”), to create custom audiences of people who have visited our website (“Custom Audiences from your Website”). You can read more about Facebook's Terms For Conversion Tracking, Custom Audiences From Your Website, and Custom Audiences From Your Mobile App here. We may use Twitter’s conversion tracking and tailored audiences products. We and third parties collect user data through their application for purposes of conversion tracking and serving ads targeted to users’ interests. We do not select targeting criteria that could reveal sensitive information about users and don’t subject users to advertising that isn't relevant to our brand. Users can opt out of interest-based advertising through ‘Do Not Track’ functionality in your web browser or through such other methods that Twitter may specify here. How can I change the personal information stored about me? We honor do not track signals. We do not plant or track Winesale.co.nz cookies when a Do Not Track (DNT) browser mechanism is in place. The CAN-SPAM Act (US) (CANSPAM) and the Unsolicited Electronic Messages Act NZ 2007 (NZ) (UEM) are laws which sets the rules for commercial email, establishes requirements for commercial messages, and gives recipients the right to have emails stopped from being sent to them, and spells out tough penalties for violations. Follow the instructions at the bottom of each email. and we will promptly remove you from ALL marketing correspondence. Once unsubscribed, you will only receive order confirmation emails or order delivery updates if you place an order, or if you have recently placed an order.